The Fundraising Goal is the selected amount of funds you hope to receive for your campaign, and this metric can be found on your campaign site. 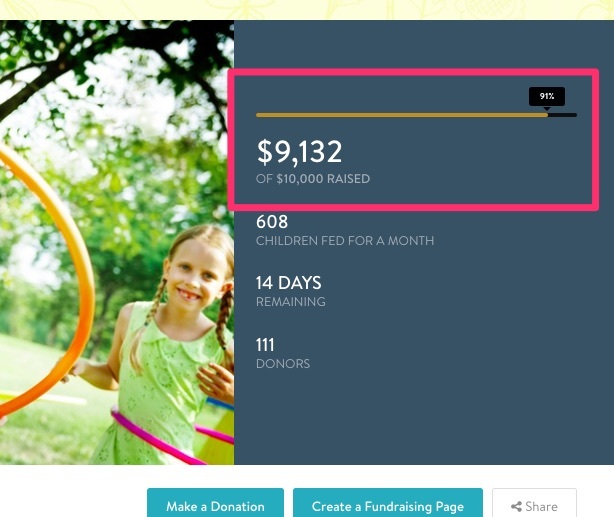 Along with your fundraising goal, a helpful progress bar is displayed so that you and your donors can track how much more is needed to fulfill or exceed your goal. 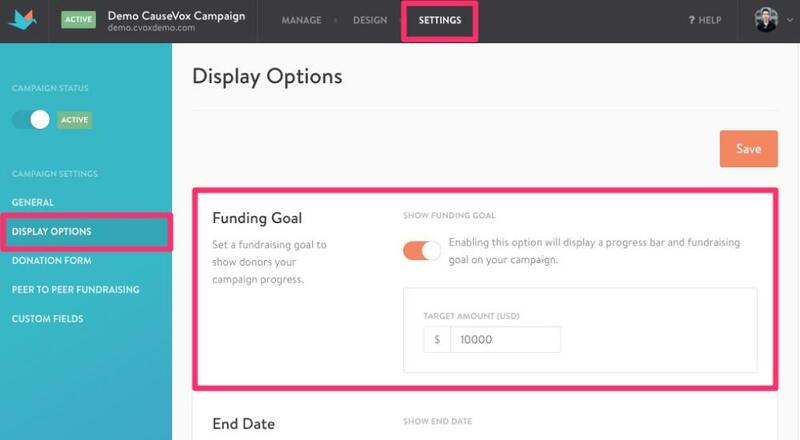 Step 1: In your Site Settings, click on “Display Options” along the left menu bar and find the 'Funding Goal' section right below it. Step 2: Fill in goal amount.